I am Kumiko Mae and I am a World Vision sponsor. I have a sponsored child who lives in Aklan, his name is Nilo, 5, my parents refer to him as my "anak"--I never complained. 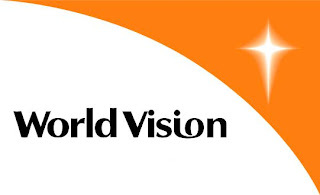 On November, World Vision is launching a campaign to help appease the hunger problem of the world. Please read the article on their website here. Pls join and help hunger make a difference. The 12-hour world famine campaign is sure to be an eye-opening experience to help us understand the gravity of the world's hunger problem. If you could, I also invite you to sponsor a child today. Don't forget, happiness shared is happiness doubled. my sis is also a world vision sponsor for more than 5 years.